Crowd scene. I did many of these. Good advice from Matt Chase. Eileen Tjan of Other Studio. Completely out-of-context quote from the House Industries presentation, which was one of my favorites of the day. Also from the House Industries slideshow. This was their book for Agent Provocateur. Hey look, another crowd scene! Erica Lee Schlaikjer & faces that I turned into a word bubble, for some reason. 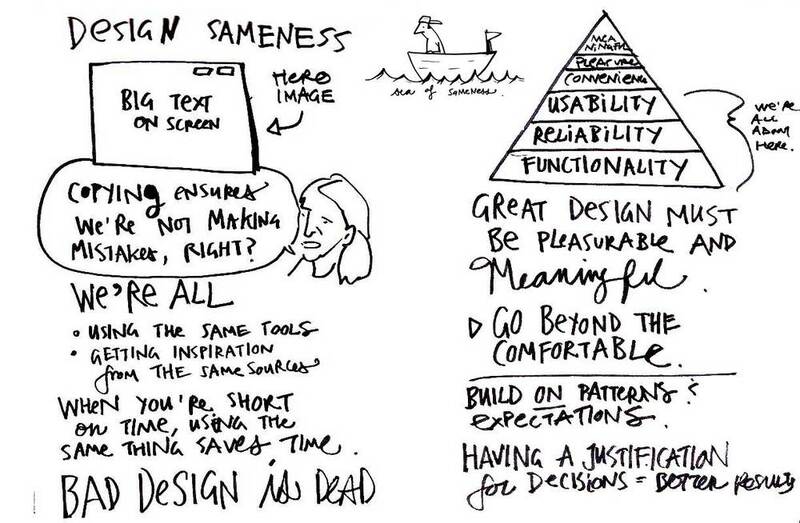 I thought this design talk from Nour Tabet made a lot of very good points.